Introduced in February of 1993 as the last of the Classic line-up the Colour Classic is essentially a LC II logic board inside a all-in-one case. Unfortunately the Colour Classic has the same 10MB RAM limitation as the LC II and the low 512x384 on the 9" trinitron tube doesn't help much. Almost all of the flaws in the design were rectified with the Colour Classic II released in late 1993 (not in North America I believe and was essentially an LC III logic board). 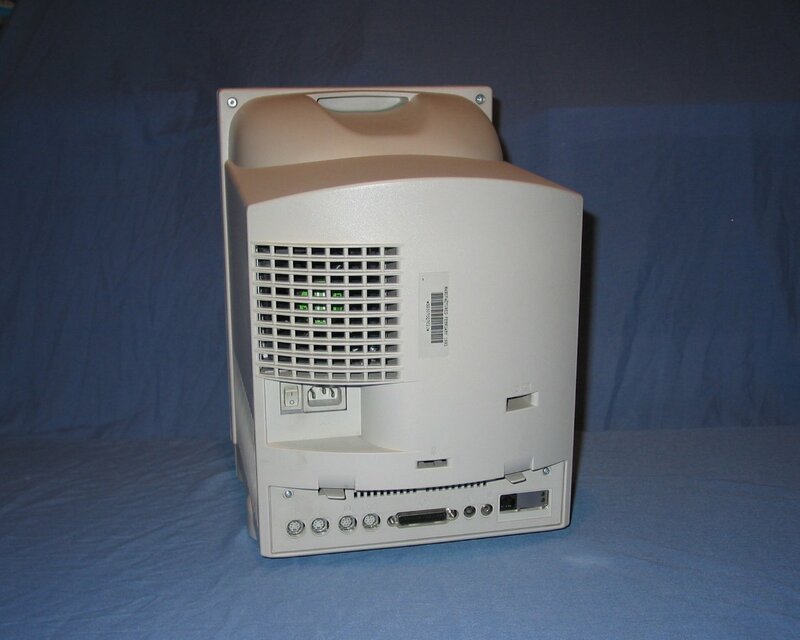 One popular upgrade to the Colour Classic is to first modify the screen to display 640x480 and then upgrade the motherboard (and power supply and hard drive) to something with a faster 68k processor or even a PowerPC processor (see link at bottom). Some people have even managed to fit a slot load cdrom inside the case. 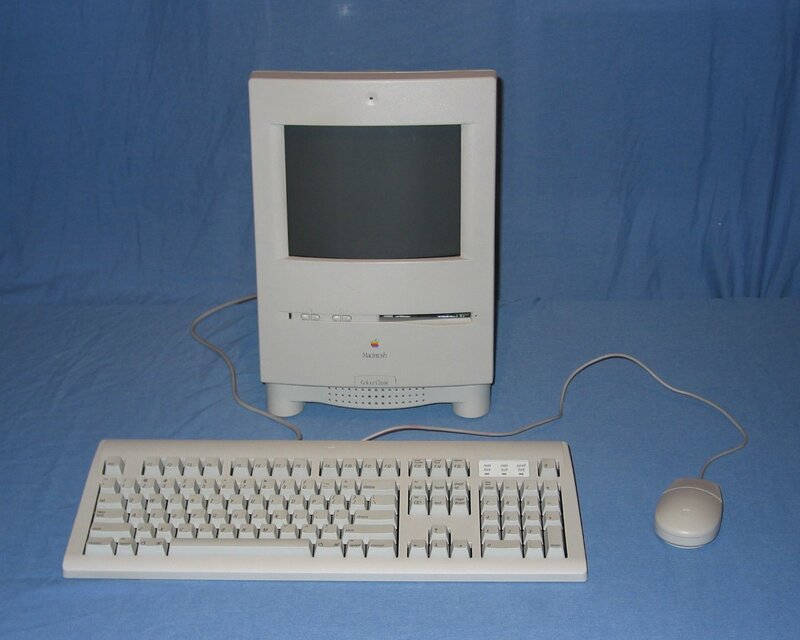 A complete system comprised of the Colour Classic with an Apple Design Keyboard and Apple Desktop Bus Mouse 2. Rear of the unit showing the exhaust fan, power socket and switch, and ports on the logic board across the bottom. 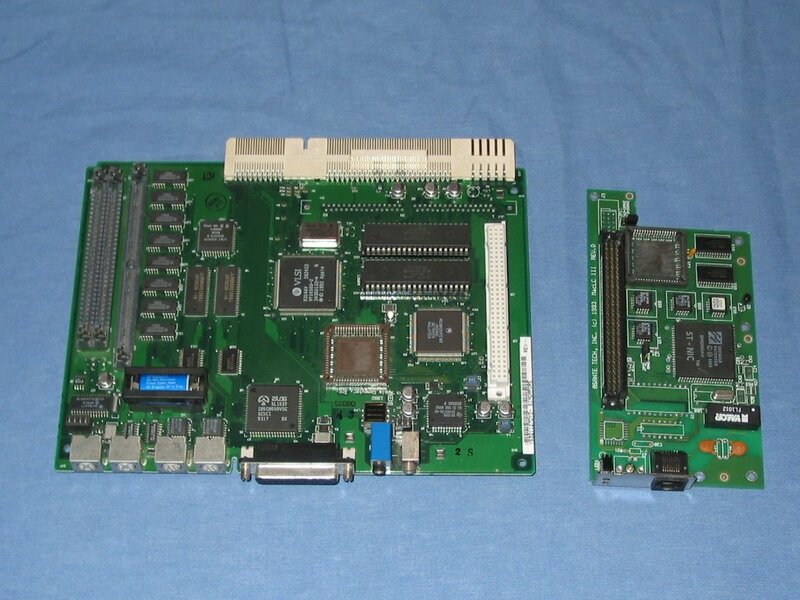 The logic board removed from the case (left) and a PDS ethernet card (right). 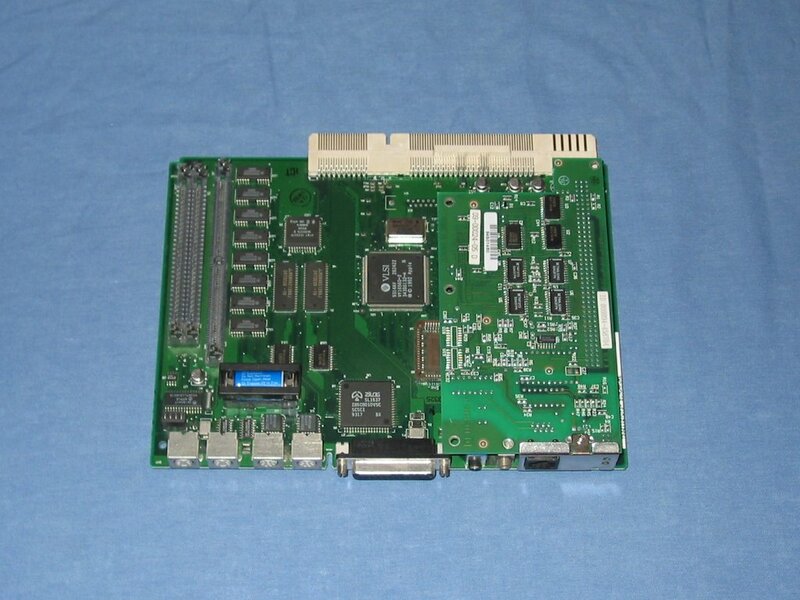 The PDS ethernet card mounted on the logic board. The crazy world of the Power Colour Classic; a world in which people cram ever greater levels of power and functionality into the humble Apple Mac computer known as the 'Colour Classic'.